A Foreman's responsibilities include the duties of the other crew members. The foreman position is a working position. Other duties include permission work, overseeing crew safety and production, paperwork, herbicide application of stumps, mapping work, and working closely with customers. 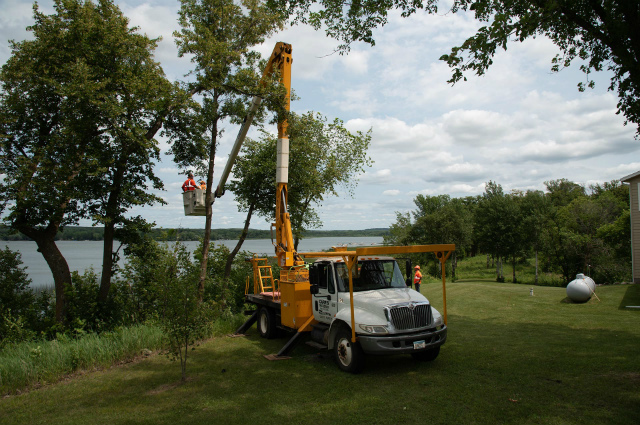 The foreman is also responsible to train new team members how to properly use all tree service equipment. Communication skills are a must for this position. Foreman are expected to communicate with the crew, general foreman, and customers. Foreman are required to have a commercial drivers license (CDL), Minnesota Right-of-Way spray license or be actively working to obtain the proper licensing. As a foreman grows in his position they will be encouraged to obtain International Society of Arboriculture (ISA) certification.